Justice Stamper is currently in the middle of planning her wedding day. She wants sunflowers, a blue and yellow colour scheme, and a big, white dress. She can’t wait to walk down the aisle and see Jeremy – the guy she’s been in love with since High School – waiting by the altar. There’s just one small hiccup. Justice is already married to Jeremy. She just can’t remember it. Yep, in the most Nicholas Sparks-esque love story since this instagram account, Justice and Jeremy first met at Sunday School, and started dating just a few years later. They got engaged when Justice was only 17, and were married 11 months later, in front of a select group of their family and friends. In fact, everything was totally perfect for the pair, until three weeks after they exchanged their vows, when Justice was in a car accident, and hit her head so badly that she couldn’t remember the last few months of her life. 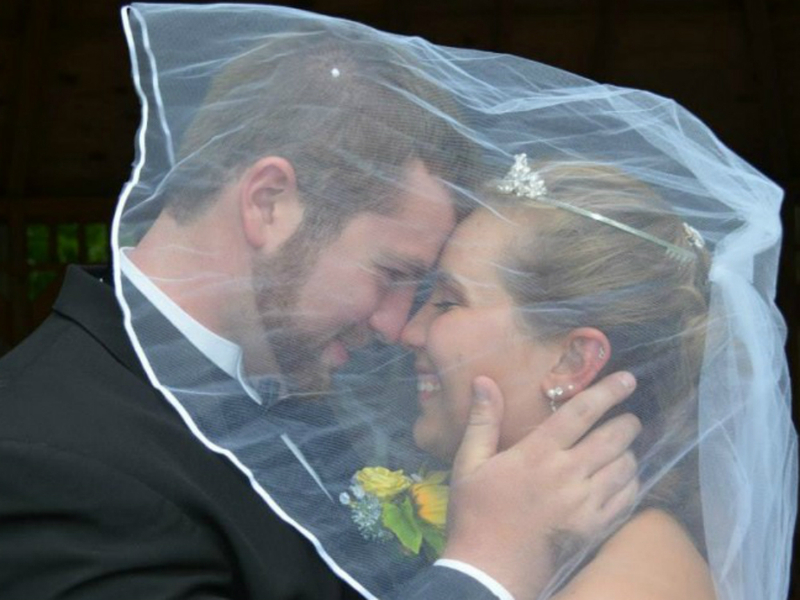 Staring at their wedding photos for hours on end, nothing came back to her. And he’s kept his promise. This August – on the first anniversary of their first wedding, the couple will walk down the aisle together again. And they’re going to do it on an even bigger scale than the first time around. Jeremy has even created a GoFundMe page, and is hoping to raise $5000 to make Justice’s dream wedding a reality.